Bridal Accessories There are 10 products. 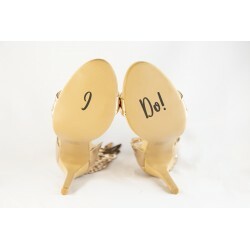 Imaani vinyl stickers will add fun to your wedding photographs. 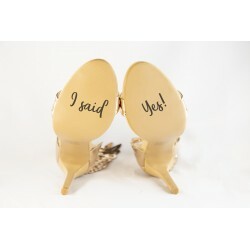 They are suitable for his or her wedding shoe outsoles and are available in white and black. Easy to apply and just as easy to remove after the festivities, plus they won’t leave a sticky residue on your soles once removed.